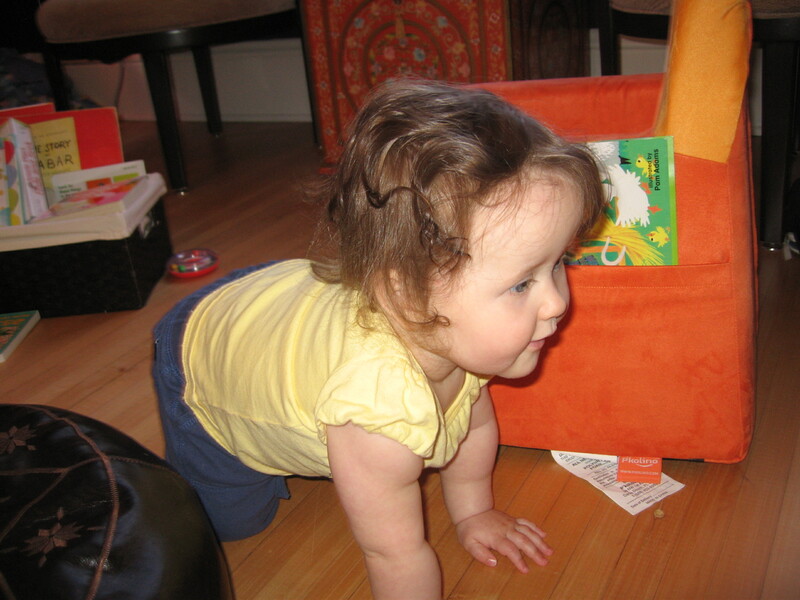 Evelyn’s big new trick is crawling. She’s gone from not-quite-there to all over it in about the last week. She is now a very confident crawler, able to zip over hardwood floors and negotiate various assorted obstacles in order to get at whatever captures her interest. 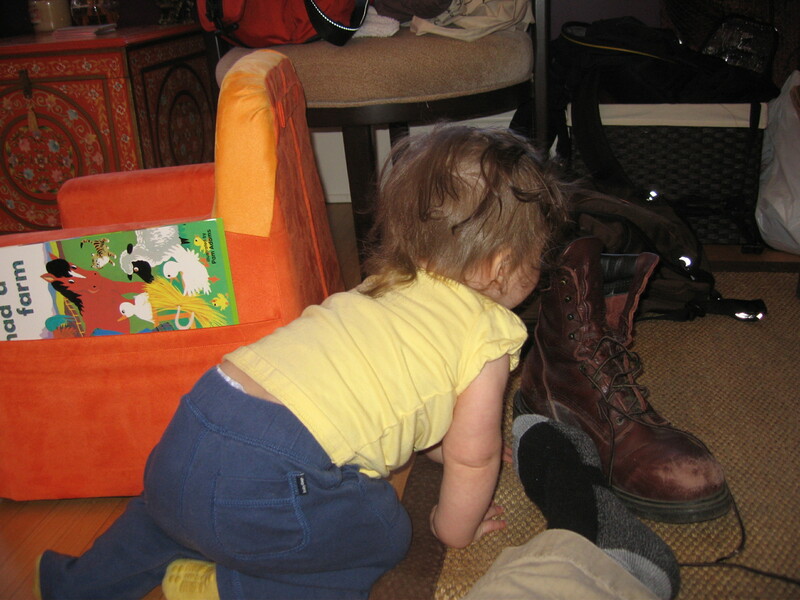 In this case, the object of interest was Dad’s boot. Go, Evelyn, go! Who wouldn’t want that fabulous looking boot? Maybe it even comes with bonus dirt on it. Now you can crawl on over and see.